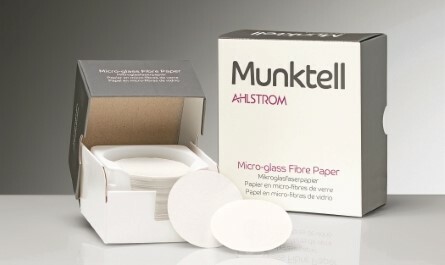 Ahlstrom-Munksjö offers a wide range of binder-free glass microfiber filters dedicated to environmental analysis, such as water or air control. Our glass filters meet the highest requirements for applications, including determination of suspended solids in water, PM 10 air monitoring, and emissions control at high temperatures. The Ahlstrom-Munksjö range of glass microfiber filters is manufactured from 100% pure borosilicate glass that is particularly suitable for environmental analysis of water and wastewater, soil testing, air pollution and monitoring, research and process biochemistry, and gravimetric analysis involving the ignition of samples (up to 500°C).